Any season is a good time to set out goals. They don’t have to be work related. It can be something you’ve been meaning to do, but always put on the back burner. For example, my poor sewing machine has not seen me for a long time. I have personal projects that I plan to do, but I want to try to make things I haven’t attempted in the past. Instructables is the perfect place to look for projects without knowing what you intend to do. This probably doesn’t make sense. Think of the time you spend on Pinterest. Sure, there maybe a few things you’re looking for. However, most of the time we are scrolling down seeing what people we followed have pinned. So, I’ve decided to establish a list of projects I want to take on. I won’t lie and tell you that I will do all of these. Still, this won’t stop me from sharing with you these DIY. Maybe one of you will try these out. If you do, feel free to message me. I’ll do a follow on post show casing your finished projects. So, without further ado. Let’s take a look at my possible future projects! When I saw this Halter, it looked great. I was surprised it was made from a scarf. This is a great upcycle project. You can bring new life to something old. Sadly, I don’t have scarves that would be large enough to do this. So, I’d probably have to buy the fabric instead. If you have time to work as you go, feel free to click-through her pictorial with text instructions. 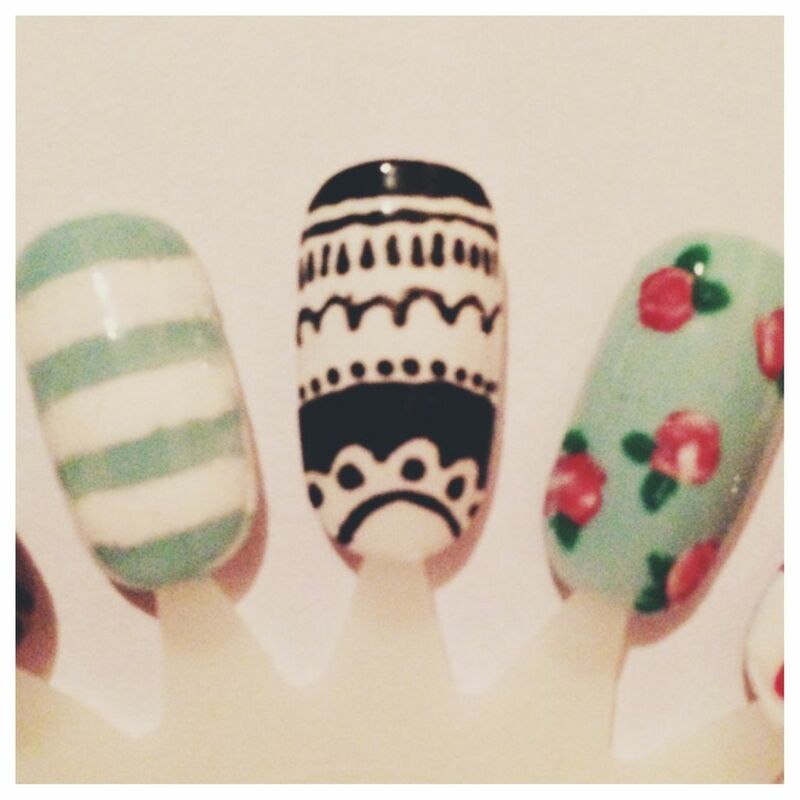 Do you love nail art but don’t have the focus or steady hand to do it. Well, this DIY may change your mind about giving up. Instead of doing your nails directly, you can do them on fake nails. I know most of this wish list was dedicated to my sewing machine, but I couldn’t pass up these bad boys. As you all know, I have has nail art wish list before. Maybe I’ll be able to make those winter nails this year! I’ll admit, this project looks like it maybe harder than the others, but the end result is worth it. These style dresses are great for spring and summer. If done correctly, the dress will sit snug like a strapless dress. Dresses are great for days that your feeling a little creatively drained and hate everything in your closets. If I don’t get around to this, I encourage you to try it out. I’ll admit, I have made totes before. I have not made a large one. 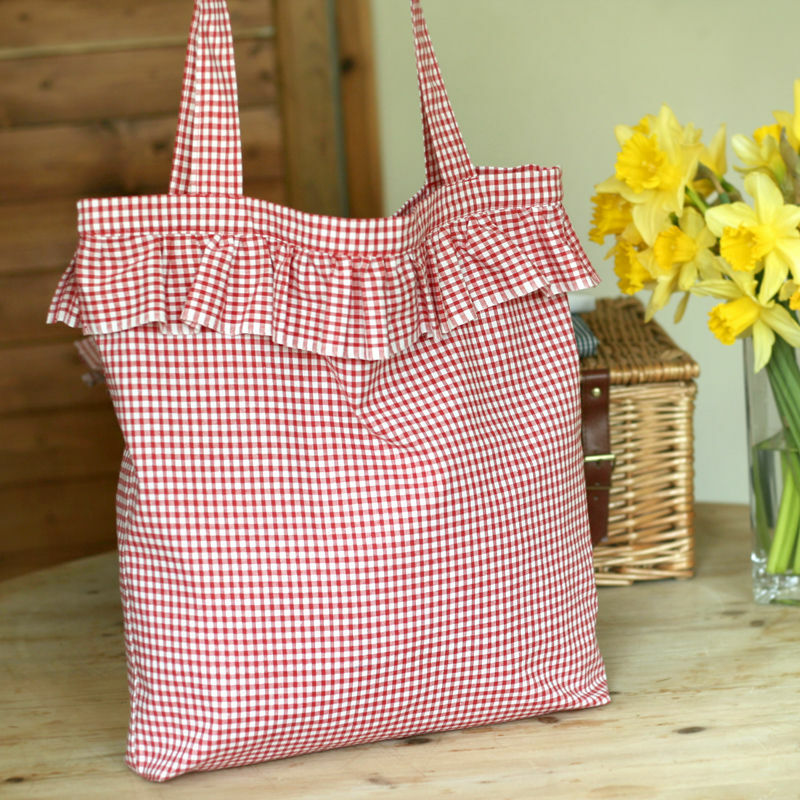 Gingham reminds me of summer picnics. Totes are always useful. They are my summer go to bag. This would be a fun project. I’ve only made ruffles once. 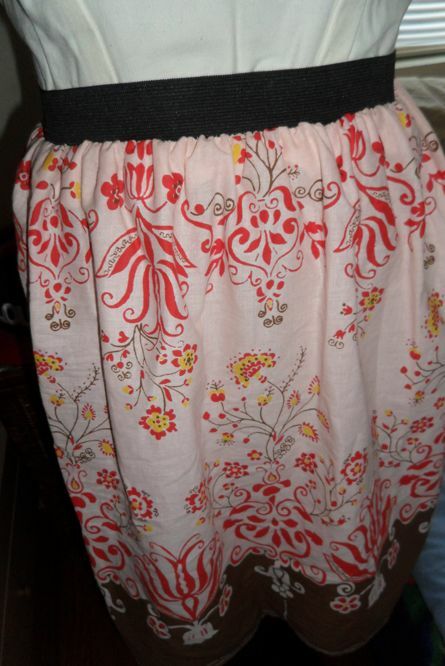 Working on something like this will improve my sewing skills. If you have time this summer, take on things you haven’t done before. A finished product can be rewarding, If you can use it in your everyday life, it is a reminder that your used your hands to make something fantastic. In the past, we used to make everything we needed. Now we buy it all. I won’t lie, I love shopping, but I like to create things with my hands as well. There is nothing wrong with buying things you need. It’s just nice to know you could make it if you wanted to.